If you're after a casual yet chic outfit, consider teaming a Le Kasha cashmere verbier jumper with dark brown leather skinny pants. Both pieces are totally comfy and will look fabulous paired together. When it comes to footwear, this ensemble pairs wonderfully with mustard suede lace-up ankle boots. If you're scouting for a casual yet chic getup, try teaming a Le Kasha cashmere verbier jumper with white skinny jeans. Both items are totally comfy and will look fabulous paired together. 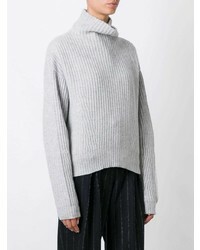 If you're hunting for a casual yet totally chic look, try pairing a Le Kasha cashmere verbier jumper from farfetch.com with a navy full skirt. Both garments are totally comfy and will look fabulous together. To add oomph to your getup, complement with black leather ankle boots. 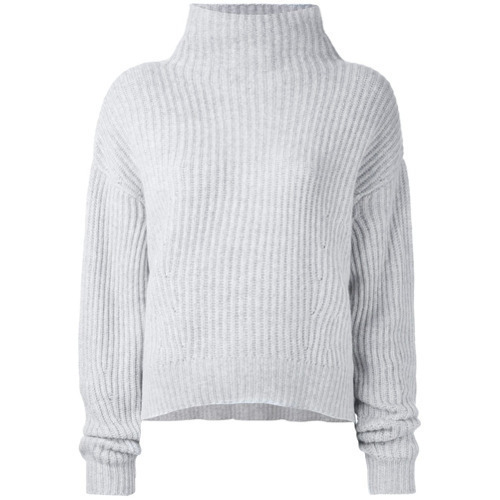 If you're looking for a casual yet chic look, team a grey knit turtleneck with black chinos. Both garments are totally comfy and will look fabulous paired together. To bring out a sassier side of you, round off your look with white low top sneakers. If you're hunting for a casual yet totally chic look, go for a Le Kasha cashmere verbier jumper and black skinny jeans. Both garments are totally comfy and will look fabulous paired together. When it comes to shoes, this outfit is round off brilliantly with brown leather lace-up ankle boots. Pair a Le Kasha cashmere verbier jumper with blue ripped boyfriend jeans to be both casual and cool. Wearing a pair of black suede heeled sandals is an easy way to add extra flair to your getup. 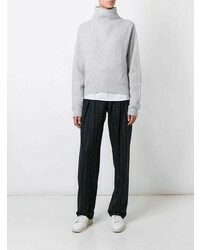 If you're scouting for a casual yet chic outfit, go for a Le Kasha cashmere verbier jumper from farfetch.com and black tapered pants. Both pieces are totally comfy and will look fabulous paired together. Why not add black slip-on sneakers to the equation for a more relaxed feel? This combo of a grey knit turtleneck and charcoal skinny jeans is an interesting balance between comfy and totally chic. For something more on the daring side to complete this getup, make black slip-on sneakers your footwear choice. 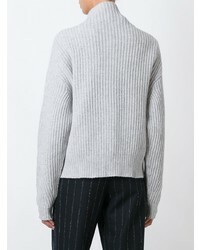 If you enjoy a more relaxed approach to fashion, why not reach for a grey knit turtleneck and black leather skinny pants? Make white low top sneakers your footwear choice to make the outfit more current.